Moms didn’t come up with Mother’s Day as an easy way to get pancakes in bed. And despite how it seems, card companies didn’t invent it as a way to make a few (billion) bucks. There’s more to the history of Mother’s Day than meets the eye. In addition to the history of the holiday, there’s a whole lot of controversy. There are debates about who came up with the holiday first and lawsuits about who can use the name “Mother’s Day.” One of the founders tried to get the holiday scratched from the books, even after fighting to get it recognized as a national day. Besides all that, there’s the question of where that pesky apostrophe goes. Here are the secrets of Mother’s Day and its history. And, for good measure, a few ideas on how to celebrate your own mom on the second Sunday of May. The origin of Mother’s Day as we know it took place in the early 1900s. A woman named Anna Jarvis started a campaign for an official holiday honoring mothers in 1905, the year her own mother died. The first larger-scale celebration of the holiday was in 1908, when Jarvis held a public memorial for her mother in her hometown of Grafton, West Virginia. Over the next few years, Jarvis pushed to have the holiday officially recognized, and it was celebrated increasingly in more and more states around the U.S. Finally, in 1914, President Woodrow Wilson signed a proclamation making Mother’s Day an official holiday, to take place the second Sunday of May. Anna Jarvis put Mother’s Day on the calendar as a day dedicated to expressing love and gratitude to mothers, acknowledging the sacrifices women make for their children. That’s why she was determined to keep “Mother’s” a singular possessive, as marked by the apostrophe before “s.” Each family should celebrate its own mother, so that individual women across the country could feel the love, even in the midst of a broad celebration of motherhood. Before Anna Jarvis worked to get a day just for recognizing mothers, her own mom played an important role uniting women for good causes. Mama Jarvis—also known as Ann Reeves Jarvis—cared for wounded soldiers on both sides of the field during the Civil War, and in its aftermath she organized a “Mothers’ Friendship Day,” the goal of which was to foster reconciliation between former Union and Confederate soldiers by having them come together, along with mothers from both sides. With the senior Jarvis’ lifelong focus on caring for children and promoting peace, it’s no wonder her daughter fought for a day just for moms. At around the same time Ann Reeves Jarvis was working with mothers in the spirit of peace, Julia Ward Howe, another activist—as well as abolitionist and suffragette—worked to have June 2 be celebrated as “Mother’s Peace Day,” and wrote a “Mother’s Day Proclamation” calling on mothers to work toward world peace. were responsible for precursors to Mother’s Day in American culture, but celebrations of motherhood go back deeper than that. Such celebrations sometimes involved worship of a mother deity, such as the Goddess Isis in Ancient Egypt, or Cybele and Rhea in Ancient Greece. In other cases, celebrations were only tangentially about mothers: Mothering Sunday in the United Kingdom, for example, was originally dedicated to the “Mother Church,” but was later broadened to honor human mothers, too. 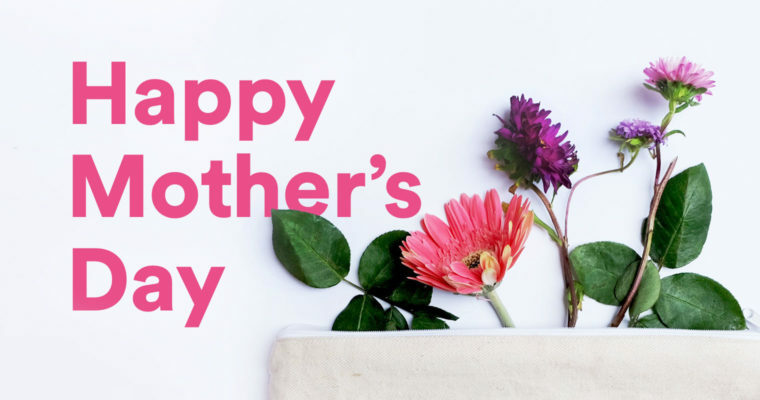 , Mother’s Day is celebrated in a variety of ways and on different dates throughout the year, though many countries observe the holiday on the same day as the United States—proof of the powerful impact made by Anna Jarvis. Even after Anna Jarvis was successful in getting Mother’s Day made an official national holiday, she wasn’t satisfied with the way that holiday was celebrated. She had teamed up with florists while she was lobbying to get the holiday recognized, even recommending a white carnation as the symbolic flower of Mother’s Day. However, in the first few years of the holiday’s official existence, Jarvis observed as florists, candy-makers and card-makers, and even charities used Mother’s Day as a way to make an extra buck. The commercialization of Mother’s Day, according to Jarvis, defeated the whole point of a holiday that was supposed to be about celebrating the personal, individual connection between a mother and her children. From about 1920 onward, Jarvis fought hard to prevent businesses from profiting by means of Mother’s Day cards, candy, flowers, and other gifts. Although she had fought to be recognized as the one and only “Mother of Mother’s Day,” she later lobbied to have the holiday removed from the calendar of national holidays, and spent piles of her own money in against profiteers she saw as using the Mother’s Day name in vain. Did Anna Jarvis have success getting people to cut down on the consumerism? If you’re considering buying your mother a card or a bouquet of flowers, you’ve got your answer. The National Retail Federation does a yearly survey to find out how much Americans are planning on spending for Mother’s Day. Here’s a hint: most people aren’t busting out the crayons to make a homemade card. In 2017, the expected total spending for Mother’s Day in the United States is $23.6 billion. That’s an average of $186.39 per shopper. In the fourteen years the National Retail Federation has conducted the , that’s the highest amount yet. But don’t feel bad if you’re not planning on forking up quite so much. There are plenty of ways to celebrate Mom without emptying your wallet. It’s all about making it special. For most modern moms, going out to brunch or getting a Hallmark card and a fat bunch of flowers will do the trick. Sure, Anna Jarvis will roll her eyes, but if Mom’s grateful, where’s the real harm? For some more free alternatives, you can pick up the phone (fun fact: Mother’s Day marks the highest phone traffic of the year in the United States), take Mom for a walk (if you live nearby), or send over something sentimental, like of animal moms with their cubs, pups, kits, or kids. Irresistible, right?